Calif. (AP) — Tesla unveiled a new all-electric SUV last week that the automaker hopes will win over consumers looking for an all-electric alternative in the most popular segment of the auto market. The Model Y seats seven and has a panoramic glass roof and a 38-centimeter touchscreen interface for accessing all the car’s controls. The all-electric, mid-size SUV will start at USD 39,000 for the standard range version, which the company said can go 370 kilometers on a single charge. The long-range model, which starts at USD 47,000, has a range of up to 483 kilometers on a single charge – less range than the Model 3. A dual-motor, all-wheel drive version of the Model Y starts at USD 51,000 while the performance version of the car, which boasts acceleration of 0-60 mph (97 kph) in as little as 3.5 seconds and a top speed of up to 241 kph, starts at USD60,000. But most SUVs still run on gasoline (or diesel), leaving Tesla to cater to consumers looking for an all-electric alternative. The Model Y’s main competition in this still-nascent market is likely to be the Mercedes-Benz EQC, and to a lesser extent, the Jaguar I-Pace, according to the research firm LMC Automotive. 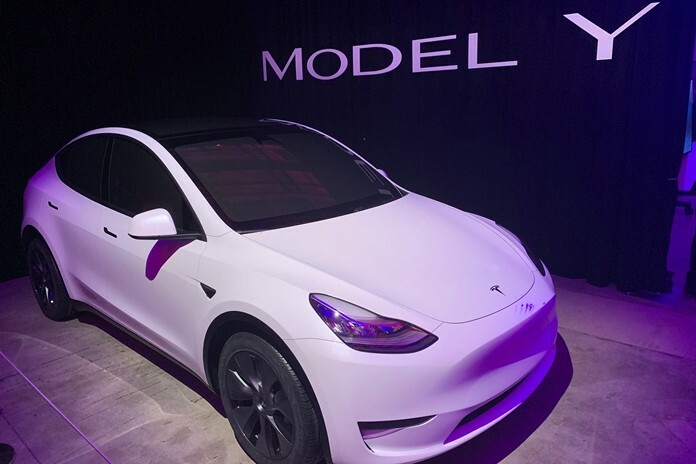 New piggy banks for loss-leader Model Y.